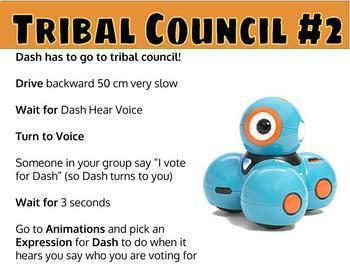 The tribe has spoken, and they love Dash Robot Survivor! 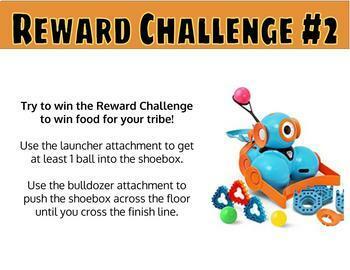 Students work through challenges such as Get Off the Boat, Build a Shelter, 2 Reward Challenges, 2 Immunity Challenges, and 2 Tribal Councils. 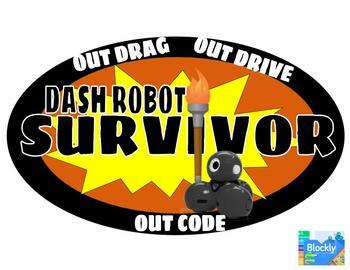 Directions are given about which programming blocks to use to complete the challenges. Dash needs the bulldozer and launcher attachments to complete these activities.